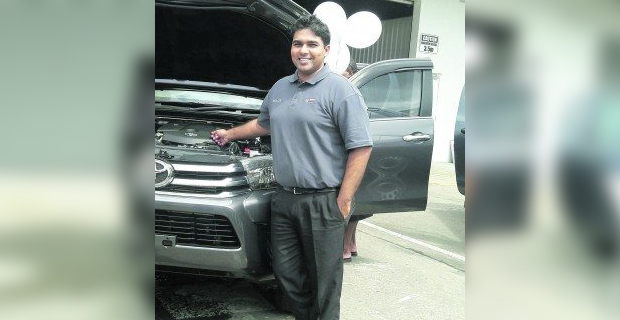 Asco Motors has confirmed that there are 10 vehicles in Fiji that will need special service as there is a chance of malfunction. These vehicles are from the 2016 to 2018 Toyota CH-R and 2015 to 2018 Toyota Prius models. CEO, Craig Sims says there is a chance of malfunction as there is an engine wire harness which is connected to the hybrid vehicle Power Control Unit. A portion of the wire harness could contract the cover and excessive vibration could cause the insulation on the wires to wear over time and expose the core wire. Sims says out of the ten vehicles, two were purchased outside of the Asco Motors internal fleet and they have contacted all customers and arranged for an inspection of the units in line with the special service campaign requirements. CNN had earlier reported that Toyota is recalling more than 1 million of its hybrid vehicles worldwide over a potential fire risk. The recall applies to cars produced between June 2015 and May 2018.